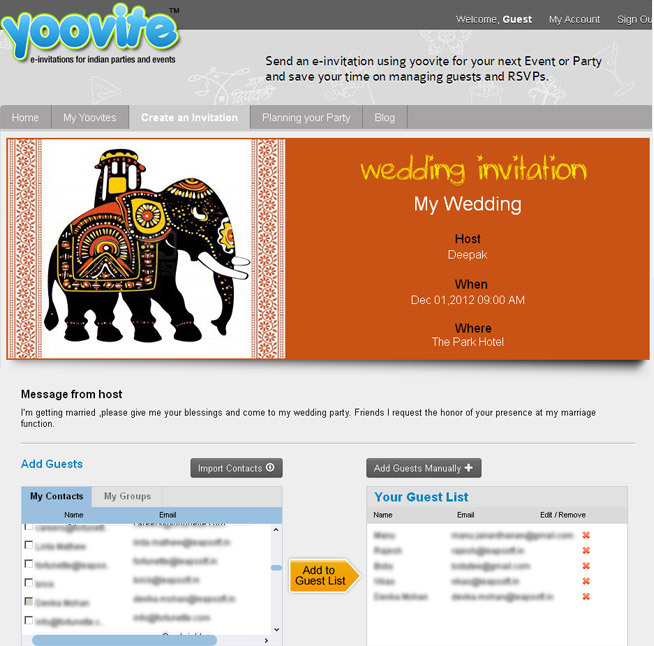 Yoovite is the #1 tool to create e-invitations for Indian Parties and Events. 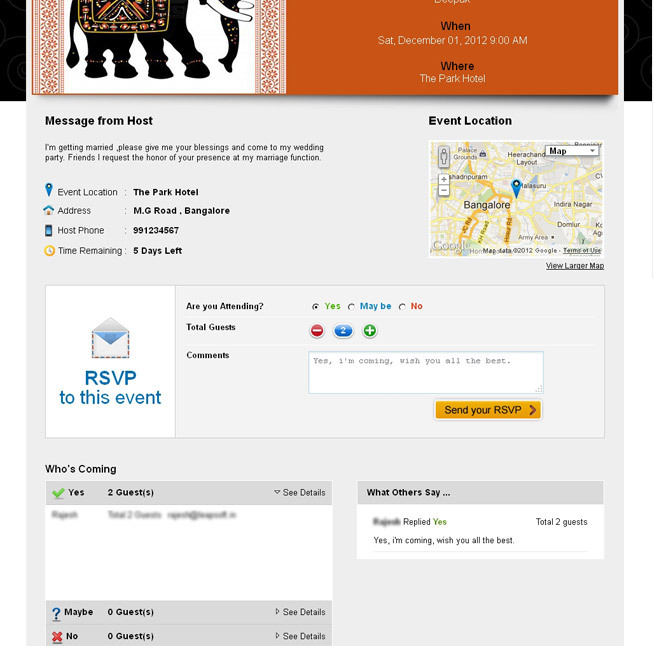 Whether it's Birthday, Housewarming or Wedding, we have 100's of invitation designs with so many Indian themes to choose from. 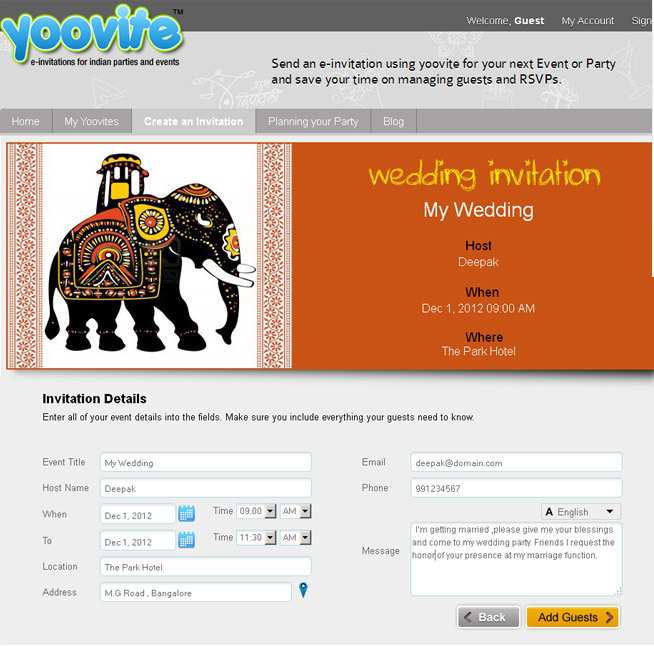 Creating an e-invitation with Yoovite is as easy as 123...! 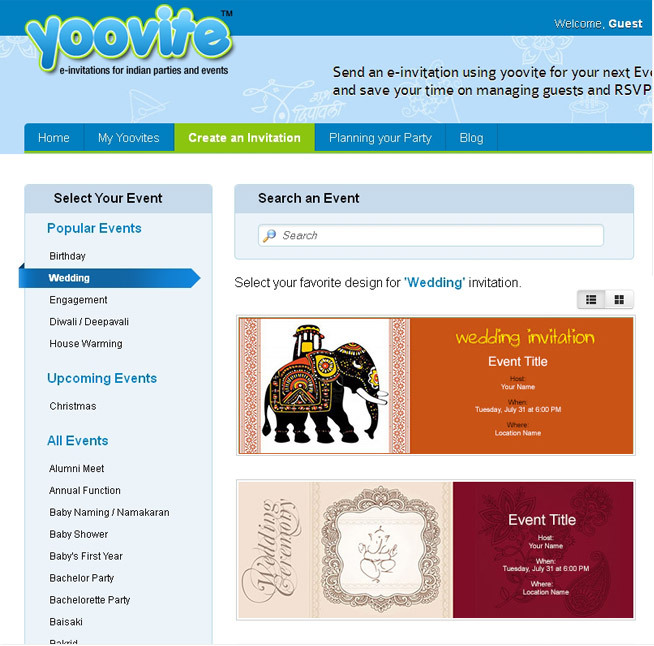 Be it Birthday, Anniversary or any kind of party, we have the right cards for you. 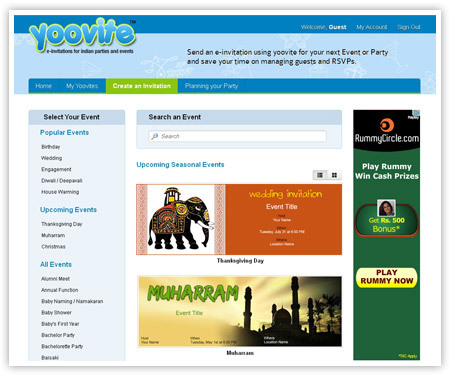 Select your favorite template from the theme you require. 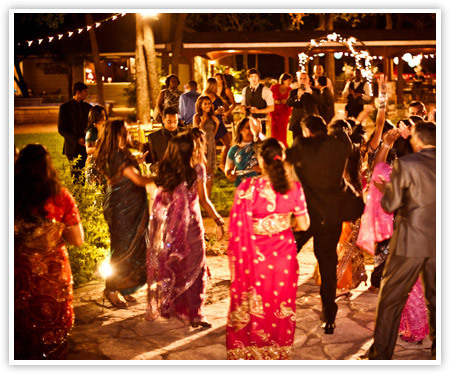 The next step is to enter the details like the venue of the party, the date, the time and how to reach the place. 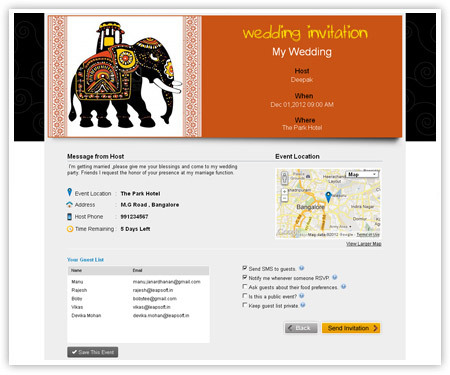 We have Google maps integrated with our invites which makes it easy for your guests to locate the place. 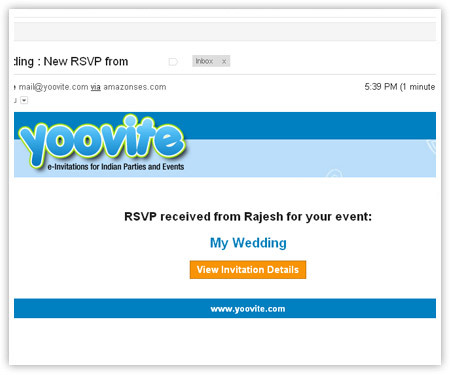 Adding guests to your invite is so easy with Yoovite. 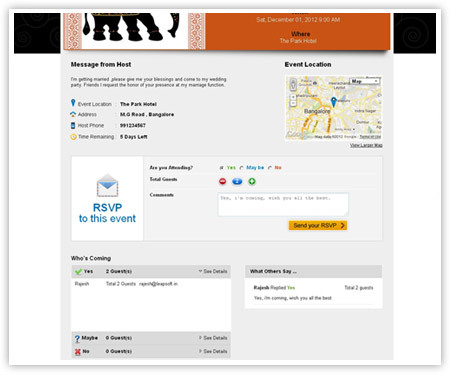 You can either enter each email address individually or import the required contacts from your email address book in a click. 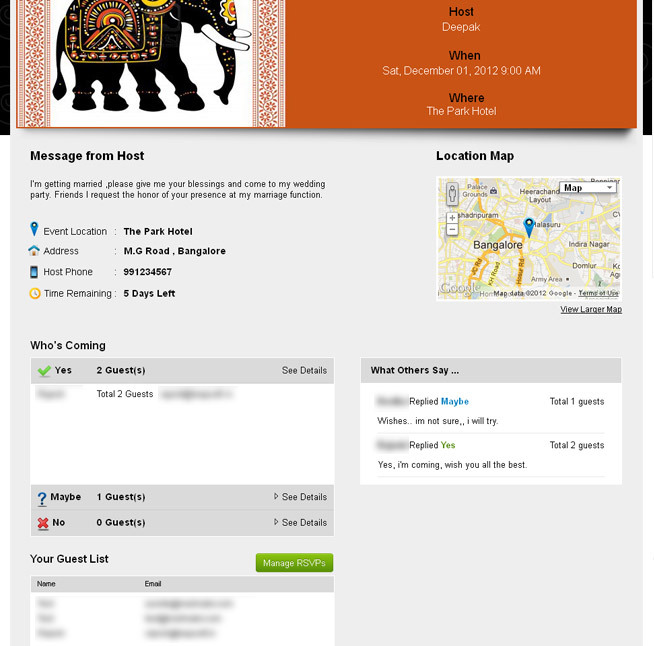 Before you click the send button, take a moment to check the preview and see how the invitation would appear to your guests. 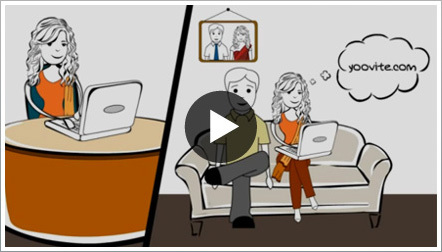 Now simply Click Send! 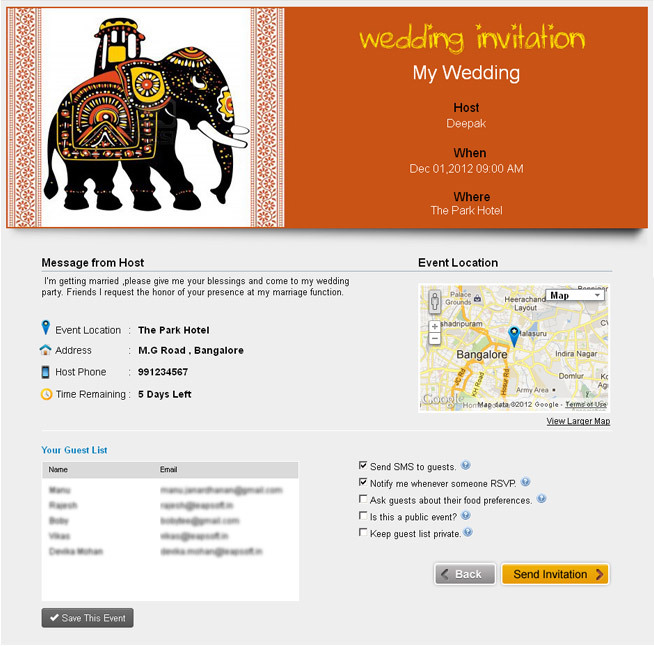 As soon as you have sent the invite, your guests receive a notification via email and SMS. 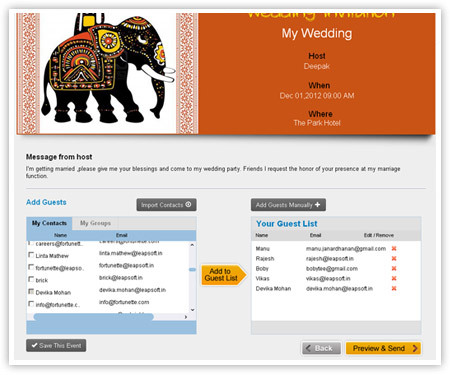 The easy to use RSVP option enables your guests to immediately respond to your invites and also let you know the number of guests they are bringing. 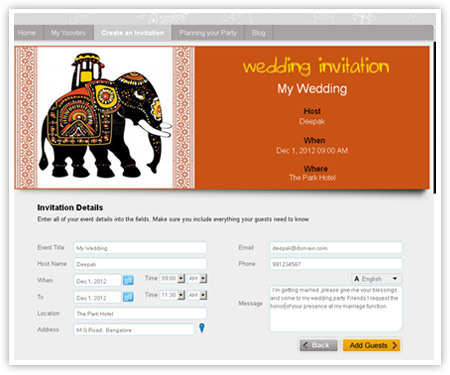 You can also ask your guests for food preferences in the RSVP. 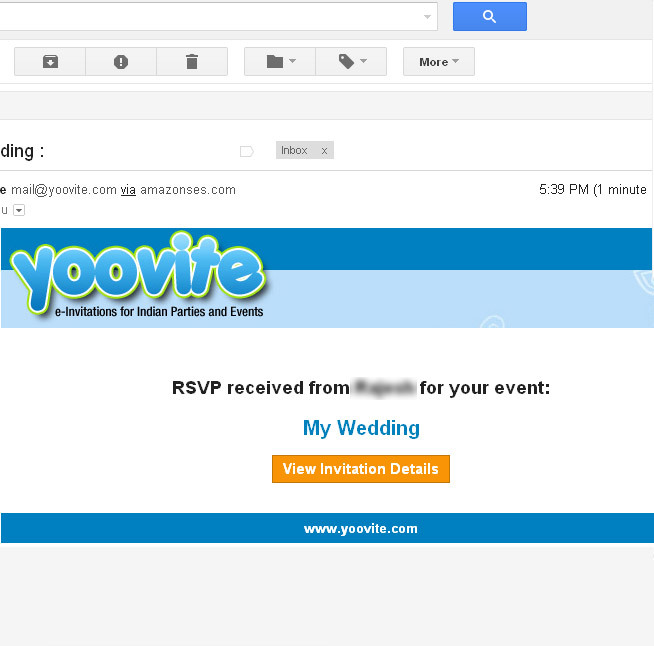 As soon as your guests send their RSVP, you get the notification in your inbox. 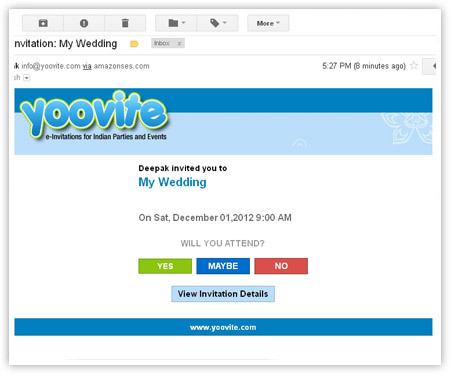 Keep track of your RSVP and get an idea of the number of guests you can expect within less than a few hours' time. 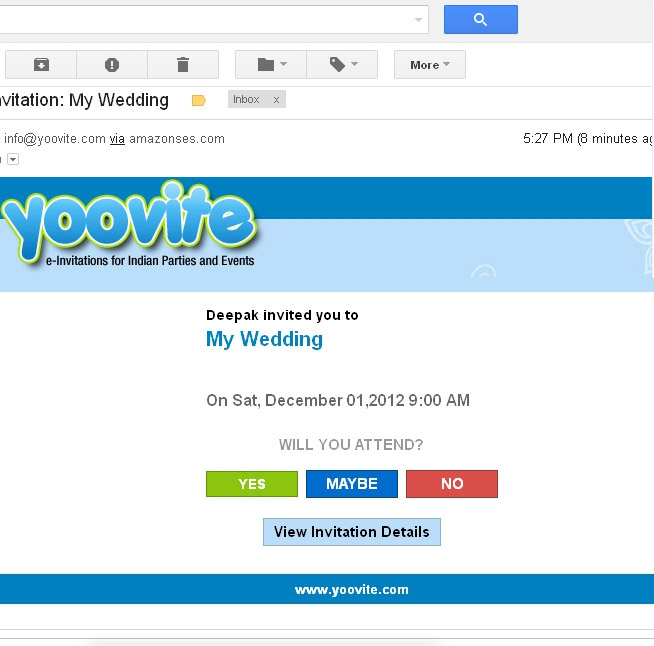 With the invitations done so easily with Yoovite, you can now relax and enjoy your party entirely.